2017 once again saw interesting in vinyl continue to grow following an ongoing resurgence with sales peaking at their highest level since 1991, according to the BPI. 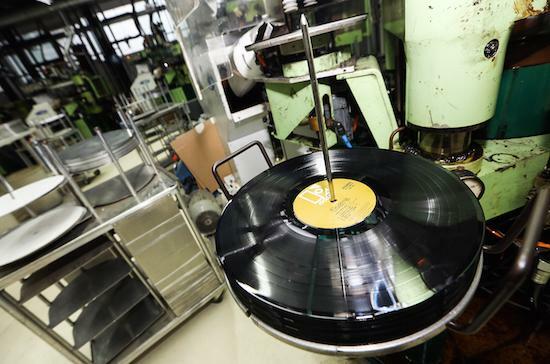 As The Vinyl Factory reports, 4.1 million vinyl albums were sold in the UK last year. This figure does not include the sale of single 12"s and EPs however. The format is now said to account for around 3% of all music consumed though, including streaming, digital sales and physical sales. However, only five of the top 20 best-selling vinyl albums in 2017 were actually released last year, with the list topped by Ed Sheeran's Divide. Other 2017 entrants came via Liam Gallagher's debut solo album, as well as albums by Rag'N'Bone Man, Noel Gallagher's High Flying Birds and the soundtrack from the second Guardian of the Galaxy film. Amy Winehouse's Back To Black is the only album by a female artist, while Radiohead's OK Computer was given a boost at number 11 by its reissue in June of last year which saw the band celebrating the album's 20th anniversary. You can read the full list below.